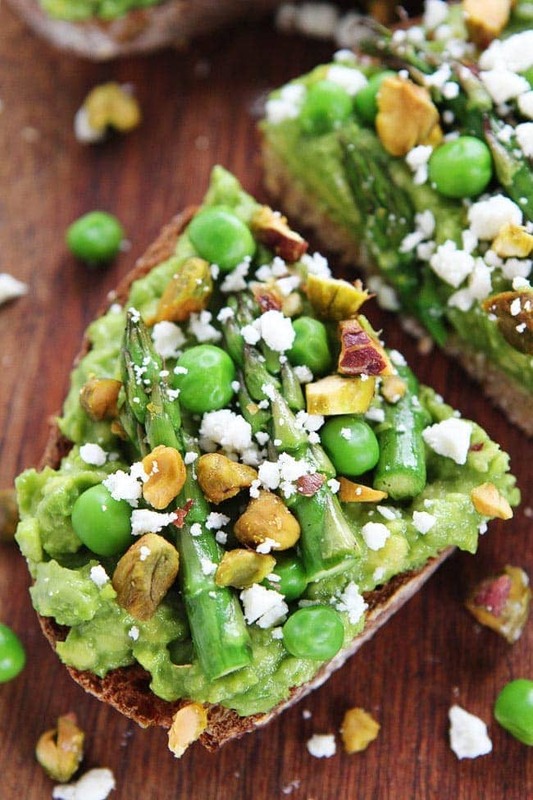 Avocado Asparagus Toast-avocado toast with asparagus, peas, pistachios, and feta cheese. 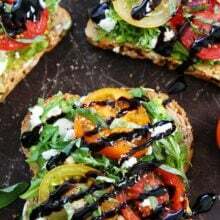 This simple spring toast is great as an appetizer, snack, or meal! I bought our first bundle of asparagus of the season last week and I am hooked. 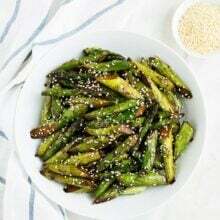 I roasted asparagus for dinner and it was so good I went back to the store and bought a few more bundles. Asparagus has been on our menu almost every single day. I can’t get enough. I have been adding it to anything and everything. 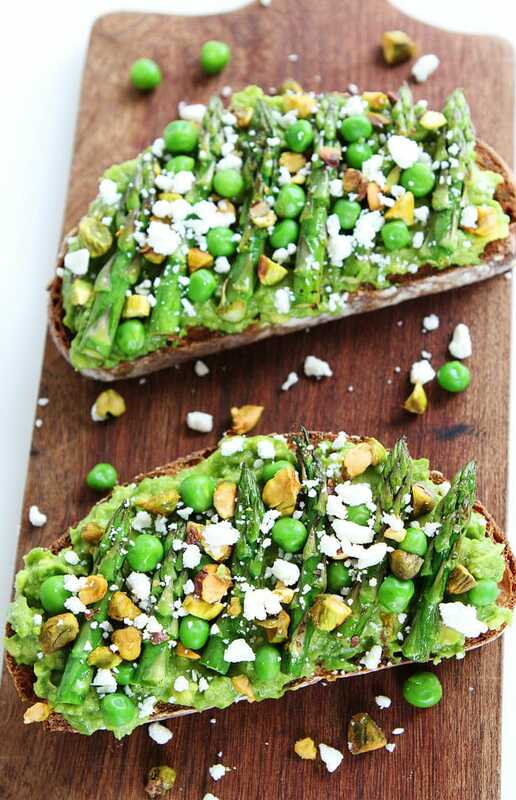 I made this Avocado Asparagus Toast for lunch and I know I will be lunching on it all spring long. It is my new favorite thing. Avocado toast is my staple. I love the classic, but I am not afraid to mix things up. 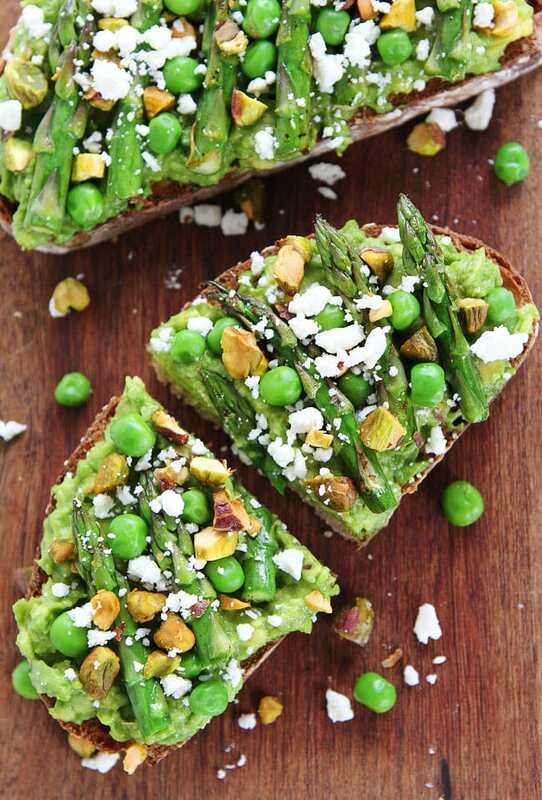 This Avocado Asparagus Toast is the perfect spring avocado toast. It has all of my favorite spring things! I add a little fresh lemon juice and chopped chives to the avocado to freshen things up. I spread the mashed avocado onto whole wheat toast and then go crazy with spring toppings. I add asparagus, peas, chopped pistachios, and crumbled feta cheese. I finish things off with a sprinkle of sea salt and black pepper. Look at that pretty toast! It screams spring and I LOVE the bright green color. Green is my favorite color so this toast makes me extra happy. Plus, it is healthy and delicious! I have been eating it for lunch, but it would also be good for breakfast, dinner, as a snack, or served as an appetizer! And it would be really good on St. Patrick’s Day! It is the perfect way to GO GREEN! 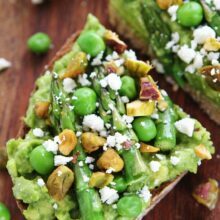 Put a little spring in your avocado toast and make Avocado Asparagus Toast! I am going to be eating this one all spring long! 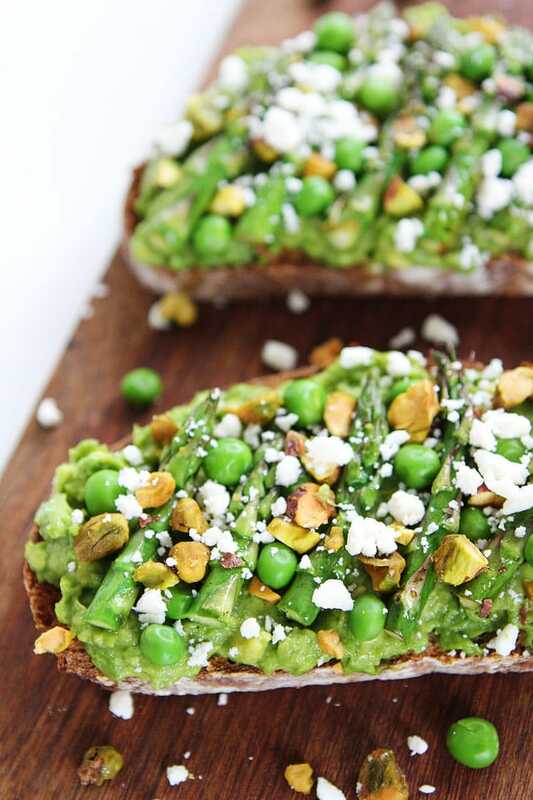 This simple spring toast is great as an appetizer, snack, or meal! In a medium skillet, heat the olive oil over medium-high heat. Add the asparagus and cook until tender, but still crisp, about 4-5 minutes. Make sure you stir the asparagus occasionally. Remove from heat and set aside. Cut the avocado in half lengthwise. Remove the pit from the avocado and discard. Remove the avocado from the skin and place the avocado flesh into a small bowl. Add the lemon juice, chives, salt, and pepper. Mash with a fork until smooth and creamy. Spread mashed avocado on toasted bread slices. Add the asparagus, peas, pistachios, and feta cheese. Season with salt and black pepper, to taste. Serve immediately. OOOOOO!!! I just want to shovel it in my face right now 🙂 I love love love how green it is! Great photos too. My kind of toast — fully loaded! Look at that yummy toast! Beautiful!! Maria! I think this is the most beautiful avocado toast I’ve ever seen! So much GREEN! I know what I’m having for lunch this weekend 🙂 Bring on all the deliciousness! I love how LOADED this avocado toast is! Delicious! Looks delicious! I am on an eating plan that requires the nutrition information. Do you have it? Thanks! I left them off! I am so sorry! I just updated the recipe! The images looks so mouth watering. The recipe is also quite simple. I’ll give it a try,. Do you use thawed frozen peas or cook them somehow first? I used thawed frozen peas. I didn’t cook them. Wow – this looks amazing! 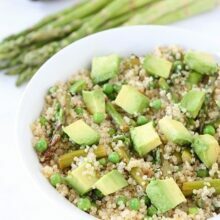 I’ve been looking for recipes to use avocado in (other than guac) and happened upon this. I’ll be trying it for sure – it has everything I love! 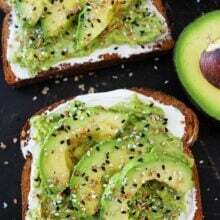 I’m already a huge fan of avo toast, but this combination I HAVE to try!